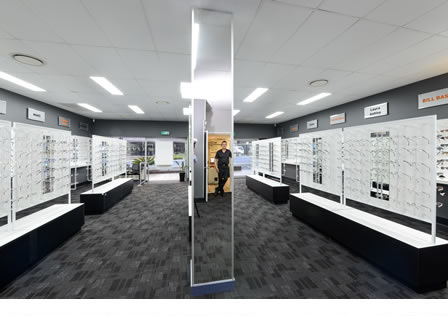 Darling Downs Optometrist is a locally owned optometry practice in Toowoomba, Queensland. Our expert optical team has been providing quality, affordable eye care since 2006. 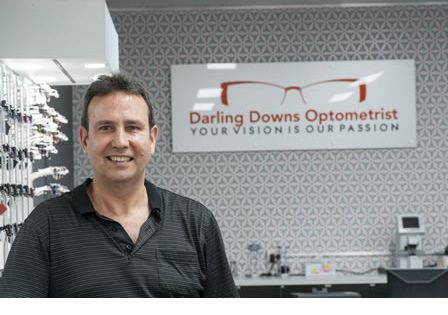 In 2014 we changed our name from Optical Warehouse to Darling Downs Optometry. Hendrik qualified as an Optometrist in South Africa in 1982. He established and managed an Eye Clinic for the South Africa Government before opening his own Optometric practice in rural Eastern Cape Province where he was exposed to a wide range of general and extreme eyecare. Hendrik immigrated to Australia in 2002, bringing his years of knowledge and experience with him. He completed the Australian competency in Optometry Examination, studied Behavioral Optometry 1&2 at the University of NSW and has a Graduate Certificate in Ocular Therapeutics from Queensland University of Technology (QUT). Jane joined our team in June 2017 and brings with her a wealth of retail experience both in Optics and the Farmacy industry. She helps customers choose the right frames to suit their personal features and style. She's also responsable for selecting the latest fashions and styles in frames and brings a fresh new approach to the frames on display. Zali joined our team in January 2019 and brings with her a wealth of retail and clinical experience. She also helps customers choose the right frames to suit their personal features and style. She's also responsible for selecting the latest fashions and styles in frames and brings a fresh new approach to the frames on display. Darling Downs Optometry is a member of the Optometrist Association of Australia and ProVision.